Ms. Fast is a former Portlander who now lives on the West Side. Read her posts for on-the-ground insights about the projects and policies that impact Washington County road users. Looking north on Murray at Walker during rush hour. Humble brag: We have pretty sweet bike parking at Beaverton City Hall. Naomi Fast is our Washington County correspondent. Her last report took a closer look at Millikan Way. Millikan looking east toward Hocken and City Hall. A former Portlander who now lives on the West Side, Naomi Fast is our Washington County correspondent. 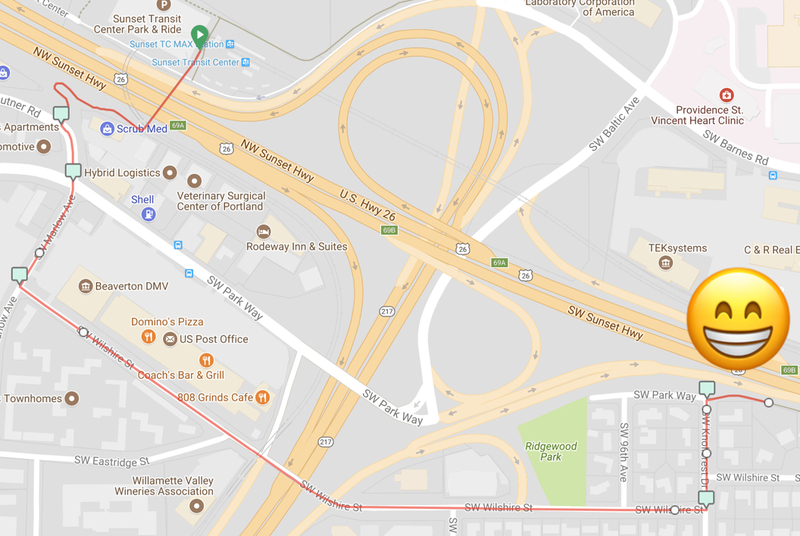 In Beaverton, Millikan Way is a useful route to be acquainted with for visits to — or through — the city on a bike. 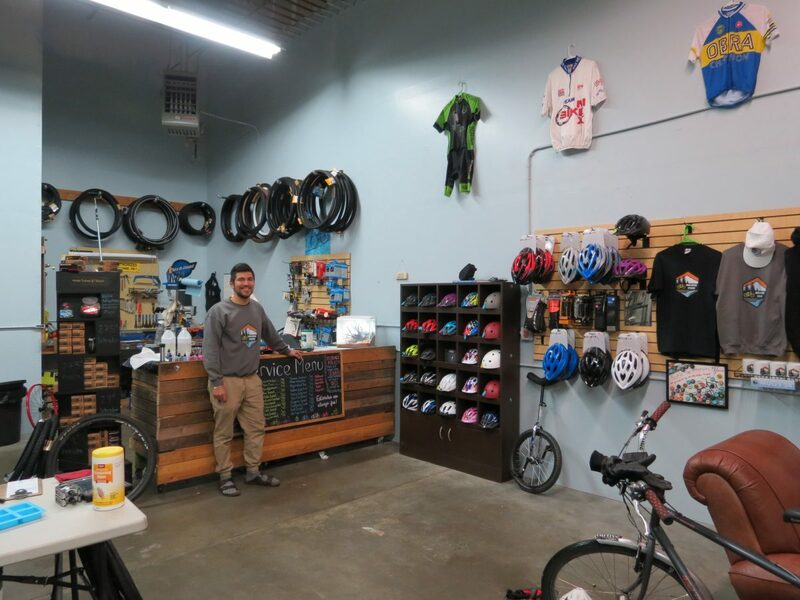 If you’re new to this area of Washington County, or if you haven’t ventured out on a bike much yet, here are a few things to know. Lloyd northbound toward Millikan, where cars could soon line both sides of the street. This story is from our Washington County correspondent, Naomi Fast. We need to talk about on-street auto parking in Beaverton. 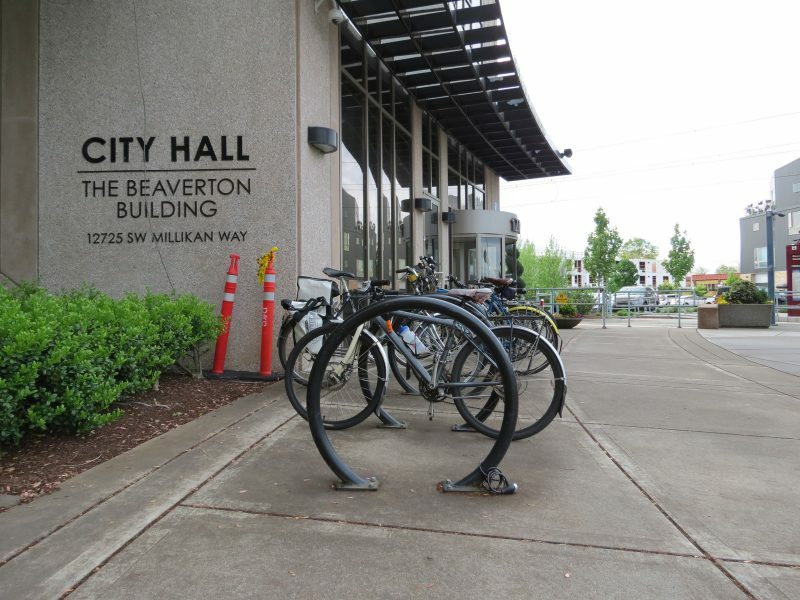 A big picture glance at Beaverton Traffic Commission meeting agendas shows that over the past couple years, on-street car parking is a consuming and intersectional problem. Residents have been asking the city to lower speed limits rather than rely on parked cars for traffic calming, as well as further restrict on-street car parking. But the parking restriction requests are coming in for two different reasons: some are concerned about safety while traveling on car-cluttered roads, while others are concerned about people sleeping overnight in vehicles on the street. Biking as transportation is — thankfully — being acknowledged somewhat in the search for solutions. 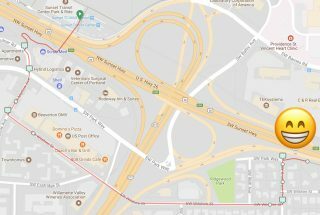 However, some advocates are concerned certain proposed bike lanes (on a section of 5th, specifically, which the Bicycle Advisory Committee endorsed) were being used by the city to justify a new ordinance that would, in effect, evict houseless people from staying overnight in vehicles on the street. Washington County just enacted their own ordinance prohibiting camping on-street in RVs. Like Portland, Beaverton is struggling to house all its residents. The city has even decided to apply for an Urban Growth Boundary expansion. But today, I’d like to outline a seemingly small detail of the bigger parking problem. It’s an example of the kind of mundane traffic decision that should be considered from a carfree person’s perspective, as part of the equity consideration. 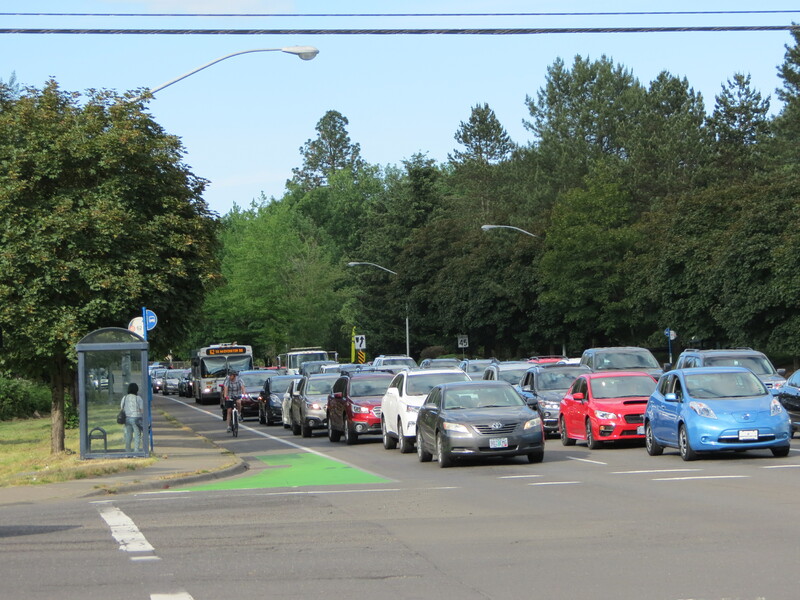 And I think it’s worth a call-to-action for people whose preferred or primary mode of travel in Beaverton is a bicycle. Looking north toward Highway 26. 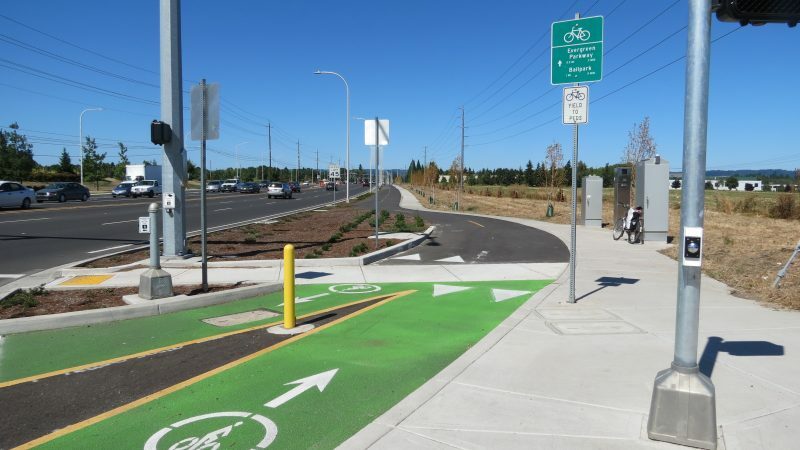 I took a tour of some of Washington County’s hot-off-the-asphalt-truck bicycle infrastructure, and my verdict is in: it’s worthy of inviting guests from Portland to come check it out. So come take a virtual ride with me! What would make streets like this “safer” for bicycling? Fear-mongering? Or perhaps a bit more encouragement and reassurance? 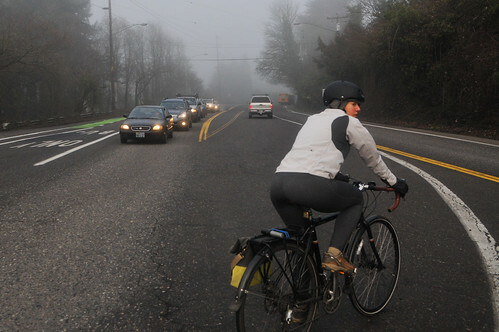 Ms. Fast is BikePortland’s Washington County correspondent. Sometimes I wonder if a well-intentioned “bike safety” presentation can do more harm than good. — What is being done by the city to halt traffic violations by drivers? — To whom—exactly—riders should report unsafe bike lane obstructions? 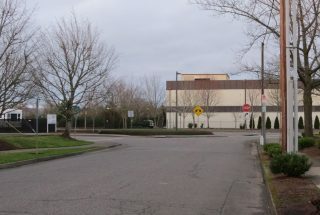 In my first subscriber post, I wrote about Beaverton, where I moved in 2013 after a decade in Portland. It occurs to me a few people might wonder how I live without a car in the suburbs. Sometimes it’s not easy! 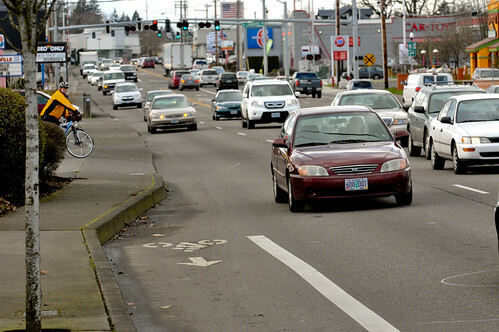 But living without a car is not all that rare, and bike commuting infrastructure is becoming a more vocal priority as Washington County looks to the future. But challenges in the here-and-now are plentiful, and sometimes I feel frustrated. 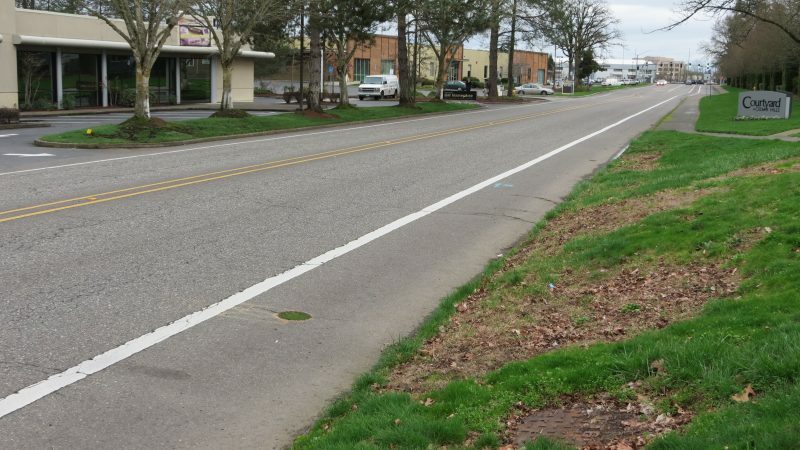 For example: Recently, I was riding in dangerous gravel in the SW Murray Blvd bike lane near the Nike Woods, and had to move into the main traffic lane at times to avoid skidding. At the red light, a woman holding her phone in one hand, deep in conversation, drove up on my left. I motioned her to roll down her window. I let her know I was needing to take the lane at times, so please keep an eye out for me! She said she’d drive more to her left to give me room, so that was nice. After a decade of living and biking in Portland, I moved to Beaverton in 2013. As I get to know my new city, I’m more and more glad to be here.